Oprah let the Inauguration show cat out of the bag Tuesday night. The Queen of Talk is talking, or at least she was Tuesday night. Access Hollywood got a moment with Oprah Winfrey at an event honoring Susan Taylor, Editor-in-Chief of Essence magazine. Winfrey chatted briefly with a reporter about Taylor, saying, "Susan, we take our skirts off to you." She said the Tuesday event and Taylor's work are an effort to "save our children," adding, "Yes, we can." Grabbing the opportunity, Access Hollywood asked Winfrey about her plans for next month's Inauguration. 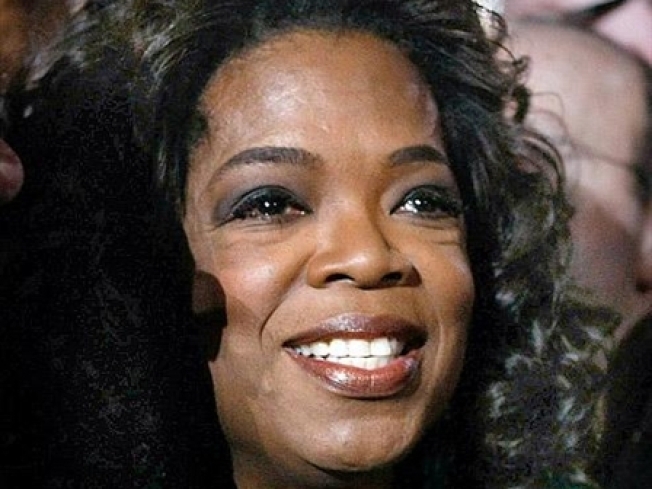 She confirmed that she has booked the Washington National Opera from which she'll broadcast "The Oprah Winfrey Show," and that she's secured hotel rooms, as well. "That's the place to be," she said. "That's the place to be."